Watch all the action of the AFC Asian Cup UAE 2019 live at A’l Bahar! 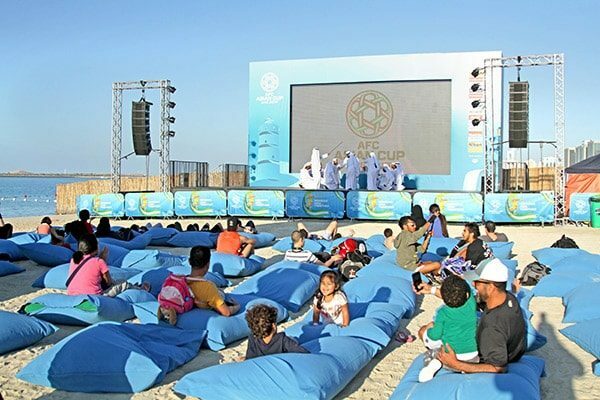 Enjoy all the thrills of this year’s most exciting sporting event by visiting the City Fan Zone at A’l Bahar and watching the games LIVE! With over 50 performances from cultures all over Asia, interactive football activities, inflatable games, 19 food outlets, and roaming entertainers, it’s a guaranteed fun day out for the whole family! 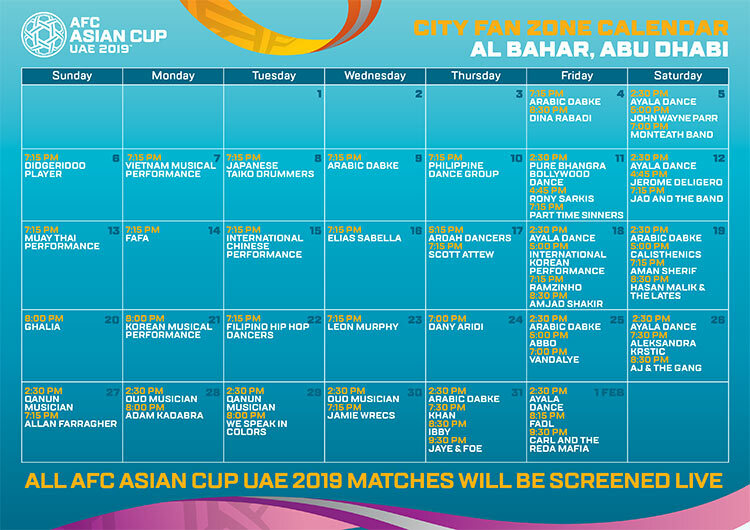 The City Fan Zone is open from 1pm – midnight until 1st February 2019. Comments Off on Watch all the action of the AFC Asian Cup UAE 2019 live at A’l Bahar!